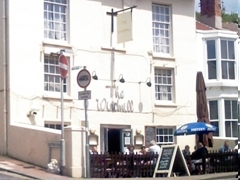 The Windmill, Brighton & Hove, BN1 3FL. The Windmill pub review, map and rating. Looking for a Hotel near The Windmill? This is a nice pub. Good atmosphere and pleasant seating on the street outside. Adnams/Broadside ales.